Enjoy swimming in natural water! 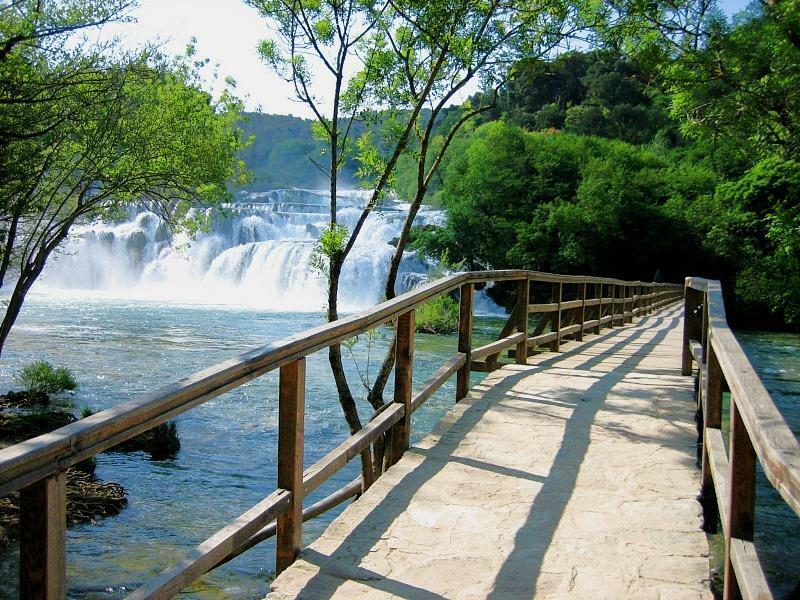 Krka National Park encompasses the area along the course of the Krka River, which flows through a deep and picturesque canyon for over 75 km and creates waterfalls– Bilusic buk, Miljacka, Brljan, Rosnjak, Manojlovacki slap, Roski slap and the fantastic Skradinski buk (Krka falls 46 m), Europe's largest travertine barrier. 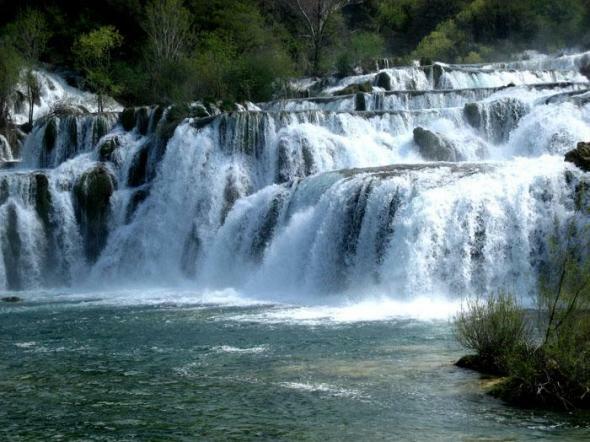 Skradinski buk is the longest and most visited waterfall on the Krka River, and one of the best known natural beauty in Croatia. 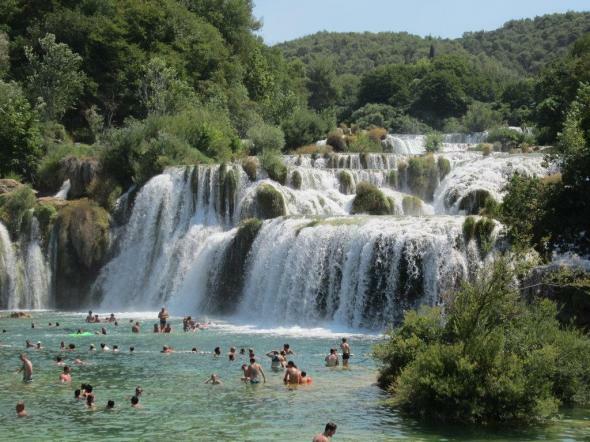 Here spills Krka over the 17 cascades which are formed by travertine barriers. Visiting this part of NP you can view the cascades on a leisurely and safe walk along the walking trails and wooden bridges. Bathing is permitted at Skradinski buk so don't forget your bathing suit. 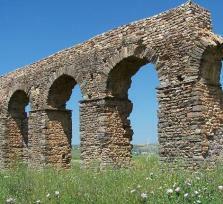 You can also visit the old water mills, the ethnography collection, the souvenir shop, or find refreshment in one of the hospitality facilities. On your request, we can visit river island Visovac or any other part of NP.